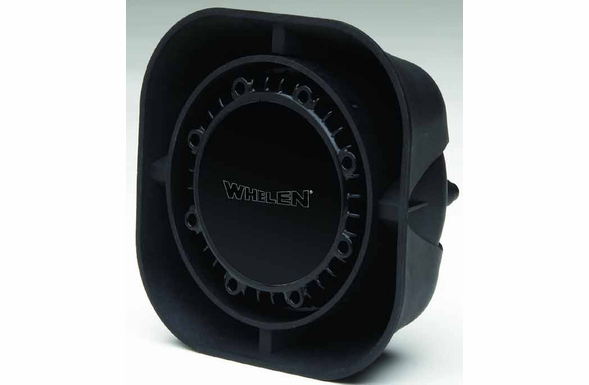 Whelen SA315 small round profile 100 watt automotive siren speaker. 123dB Speaker, Nylon Composite. Size: 6.5" H x 6.5" W x 2.9" D. This siren speaker replaces the discontinued Whelen SA314P speaker.